We have developed a prosthetic foot based on the natural model, representing a combination of innovative lightweight construction and a creative design. Conjoined double spring elements not only dampen impacts but also enable a virtually natural rollover with excellent energy return. 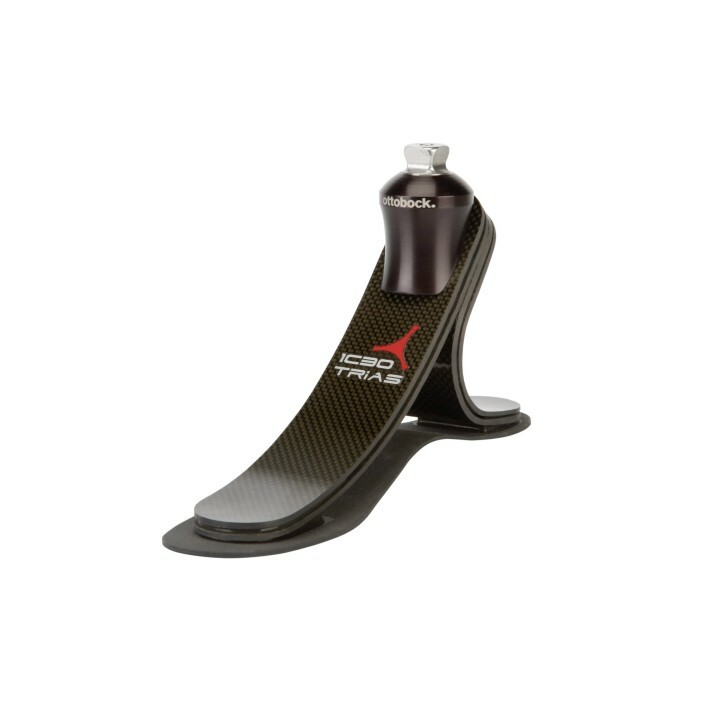 Benefits for you: Since the overall structure is similar to the human foot, the Trias prosthetic foot supports controlled movement patterns of the user and also adapts to changing walking speeds and different surfaces. The combination of the footshell and connection cap offers you a visually appealing solution and, along with the carbon look, contributes to the attractive design. The Trias can be used up to a body weight of 125 kilograms depending on the foot size. Your orthopaedic technician will be happy to inform you regarding your individual requirements.